Global warming is the greatest hoax of the modern era and is seriously undermined by the fact that the Earth has been in one of its natural cooling cycles for the last seventeen years at this point. I have always found a stark contrast in the way the forecasts of meteorologists on television and radio are limited in accuracy to about a week and beyond that become more speculative while the claims about global warming are always stated in decades. For example, the polar ice caps were supposed to have all melted by now. The daily forecasts are formulated based on sophisticated meteorological satellites. The global warming claims are all based on computer models, not empirical observation and data. I am not a meteorologist, nor even a scientist. 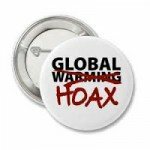 I am, however, a science writer who has followed the global warming hoax since it began in the late 1980s and picked up momentum as the UN Intergovernmental Panel on Climate Change (IPCC) began issuing its computer-based doomsday claims. 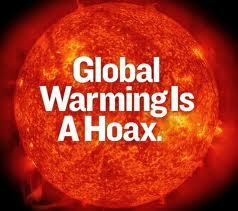 The IPCC objective was to get nations to impose carbon taxes on “greenhouse gas emissions”, mostly carbon dioxide (CO2). Why anyone would want to tax CO2 when it is vital to all life on Earth is a mystery. The claim was that it was trapping heat. The essential flaw in all this scare mongering is that the Earth is an extraordinary self-adjusting mechanism and more CO2 is great news for thriving forests and growing crops. Two friends of mine, both recognized as major voices in the world of meteorology, Joseph D’Aleo, a certified consulting meteorologist, and Dr. William Gray, were joined by Dr. Neil Frank, another respected member of the profession, in a July 8 letter sent to Keith Seitter, the Executive Director of the American Meteorological Society, these AMS Fellows, took him and the Society to task for continuing to push the bogus assertion that a “consensus” of its members believe that global warming is occurring. A Wikipedia page notes that the American Meteorological Society was founded in 1919 and “promotes the development and dissemination of information and education in atmospheric and related oceanic and hydrologic science.” The Society has a membership of more than 14,000 professionals, professors, students, and weather enthusiasts. Suffice to say, global warming is the greatest hoax of the modern era and is seriously undermined by the fact that the Earth has been in one of its natural cooling cycles for the last seventeen years at this point. “Forecast the Facts harasses TV stations whenever their meteorologists present a skeptical view on global warming, whether on-air, in blogs, local op-eds, or twitter accounts.” For the three men of science this kind of thuggish behavior, combined with the AMS position, has reached a point where they felt compelled to challenge it. It is occurring as the lie that a vast number of scientists support the global warming hoax is “failing miserably” when put forth by the AMS, the IPCC, and two government agencies, the EPA and NOAA. The meteorological trio pointed out that “global hurricane frequency is at a 30+year low and strong tornado trends are down. There is no long term in droughts and floods. Snow and cold have been increasing in winter, not decreasing as the IPCC and NOAA climate reports have forecasted. We have seen deceleration in sea level rises.” The opposite of these facts have been the claims still being made in the name of global warming. In an August 4 blog post on IceCap.us, D’Aleo’s website, he reported on the response he received from Seitter who clearly got the message. “Personally, I do not feel the Forecast the Facts approach is a productive one and I have told them so on several occasions” referring their demand that weather reporters who do not hue to the global warming lies be fired. The time is overdue for the American Meteorological Society to abandon any role in advancing a hoax that Mother Nature herself has exposed. Three cheers for these three statesmen of meteorology.